Once block 1,000,000 is reached in the Nxt blockchain, which is expected to happen on Thursday, the 13th of October 2016, the snapshot process of the balance of every Nxt account that has been going on for the last 3 months in order to calculate your average balance for the future ARDR giveaway will be over. Once this period is over, ARDR assets will be sent automatically to Nxt accounts and we will be able to trade them on the Asset Exchange of Nxt. Welcome ARDR! The exchange HitBTC joins Poloniex, Btc38, and Bittrex, the exchanges that have committed to giving away corresponding ARDR assets to the NXT holders who keep their tokens on that exchange. The user websioux has presented Secret Miner. This service can provide you with a Nxt and Ardor account with the first 4 letters of your choice. This can be used, for example, to reflect the name of your company. The search is limited to the first 4 letters at the moment, but it may be extended to 5 or 6 letters in the future. Even if your desired account isn’t in the database yet, you can make a reservation so that as soon as it is found, it’ll be delivered to you. We’d like to remind you that, as we mentioned in a previous weekly newsletter, the first feature on this series of infographics was the CoinShuffle feature. This article, written initially by Guy Brandon for Due.com and, later on, re-published by John Rampton (founder of Due.com) at huffingtonpost.com, deals with some of the most promising cryptoplatforms out there that are being developed nowadays, according to the author. Among them, of course, is Ardor. It is mentioned due to its innovative features that will allow it to deliver off-the-peg child chains. Megalodon’s millionaire campaign to strengthen the Nxt platform is going to reward the forgers of Nxt even more from now on. Good news for all the members of the community who contribute to support the network! Damelon has presented the new company Jelurida. It’s composed, among other members, by Jean-Luc and Riker, both Nxt’s Core Developers, and Bas Wisselink, who is also a member of the Nxt Foundation. Jelurida will be the startup in charge of protecting the Intellectual Property of the Nxt Core Development team. According to its initial statement, this company aims to create a sustainable and thriving business around the Nxt ecosystem by providing software licenses, maintenance, and services to a new breed of blockchain-based applications. 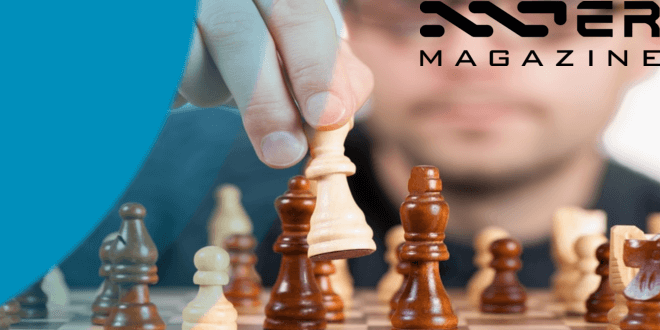 Last Sunday at 20:00h CEST, there was place a fierce Questions and Answers session among users and developers of Nxt/Ardor over the Nxtchat on Slack. Apart from the core developers Jean-Luc and Riker, many nxters gathered together in this Q&A session and a lot of subjects were discussed, including the future of Ardor, the creation of Jelurida, the devs situation and the role that the Nxt community is going to play from now on, among others. A couple of weeks ago in our newsletter we mentioned that the user NxtSwe was working on a project to automate small NXT payments on Slack through a bot named Tipbot. This week, the community has performed tests to check how it runs with true NXT coins at the #general channel in Nxtchat on Slack, and having a nice time with Tipper, the tipping monkey. The website Coincap News gives some real time information about digital assets. Recently, an article has been published that talked about Nxt, its history and features, all written by Michael. Besides this, the author explains what Ardor will bring us: its scalability solutions and its strong orientation towards solving business issues by offering them child chains that will solve real problems. This article was written by lhcn57 and talks about Nxt and the asset ARDR, which will be launched on the 13th of October, once the snapshot period is over. The article explains how each ARDR represents a token for the new cryptoplatform Ardor, which is expected to be launched in the 3rd quarter of 2017. Until this time arrives, ARDR will be freely tradeable in Nxt’s Asset Exchang. Lhcn57 also mentions IGNIS, the very first child chain on Ardor, of which tokens will be also given away among the current NXT holders, although in this occasion, the snapshot period won’t last 3 months as there will be just one snapshot that will take place at the same time that Ardor goes live. There’s been a lot of questions coming back repeatedly, which isn’t really bad in my opinion as it indicates that there’s new people coming in. However, there are a few misconceptions going around so we’re creating this in order to clear some things up. Before the launch of Ardor, there will be a one-time snapshot to all accounts with NXT. You will receive 50% of whatever amount of NXT you have at that time. Like with the snapshotting for ARDR, no NXT will be burned. This is the first major update after initial mofowallet release. Improvements were made on almost all levels. The network request layer has been completely rewritten, it is now aware of all active and pending (API) requests. Requests are grouped and can be prioritized or cancelled all together, requests are bound to the controllers that started them and are automatically destroyed when the controller is destroyed. Network requests are executed from a central interval (timer) and is no longer event based. The interval acts as an external agent that can take action and cancel requests if they either time out or take too long to start (when higher ranked requests take up all available slots). The number of concurrent requests are set at six for now, this seems to work well while running on localhost and when connected to public API servers. Improvements are made in the usage of the decentralized API, users can run their own API server and add these to mofowallet. Because multiple public API servers are used, synchronization among those servers has to be performed on startup. Synchronizing involves a check if the server is up and functioning and a detailed analysis of the fork that the server is on. Public API servers that are on a fork are ignored for the current session, thereby not wasting any network traffic. API servers are required to have SSL enabled and must use a proper certificate. Users are prompted if they want to start the embedded FIMK and/or NXT server on startup, options for each server are available to either start automatically or never start at all. Users can run both servers at the same time but this does put a higher load on your system. However, running the servers is not required since mofowallet is fully functional when operating on the public API servers only. Forging/mining is supported for all embedded servers. The blockchain must be downloaded before you can forge blocks. The forging UI has been updated and now requires your secret phrase to be entered only once, either enter your secret phrase or open your wallet file containing your secret phrase. To see if you forged any blocks you will, for now, need to look at the amount forged label in the accounts section. Better feedback of exactly what blocks you forged and other info, like charts and averages, are under development. Namespaced aliases now support encryption. This is the same encryption AES encryption offered for normal messages. Namespaced Aliases can be encrypted so only the owner account can decrypt or where the owner account and one other account can decrypt that. Introducing the initial Asset Exchange UI for FIMK and NXT. UI is read only in this release meaning you cannot enter or cancel orders. Asset Exchange is a work in progress and it’s anticipated that it will change considerably. Our aim is to offer a professional full featured interface to both the FIMK and NXT decentralized exchanges. We consider a professional UI one that offers traders all tools required to do your daily trading. Better support for sending plain text or encrypted messages. Message transactions in the transaction history are displayed inline now. If you provided your secret phrase, messages are decrypted on the fly and can be seen inline in the account transaction history but also in the blockexplorer. New service available to all plugins, plugins register with the startup service to do intialization upon application startup. Plugins register so called activities that show progress in the startup dialog, activities can be made to run only after certain other activities have finished running. The startup dialog can be hidden by the user and the mofowallet is usable from that moment on. If certain functionality in mofowallet depends on an activity to complete it will be disabled until the activity has completed. All identifiers for blocks, transactions, accounts, aliases, block heights and more now support mouse events. Plugins can register for mouseover, mouse out and click events. This has enabled everything from the blockexplorer to the account section to be *clickable* and will show you a details dialog in which everything is again clickable. Fixed a bug where sometimes sending a transaction does not immediately show up in your list of recent transactions. This now works correctly for all broadcasted transactions. Fixed numerous performance bottle necks, desktop mofowallet is much faster than the initial 0.3 release. Fixed the problem of mofowallet constantly sending requests to obtain state from the public servers. The rewritten network layer fixed this. Fixed a bug where sending a transaction gave no meaningful feedback, on sending transactions the user now sees a dialog that shows transaction creation, signing and broadcasted feedback.